Yes, I often harp on the importance of having accurate information when it comes to the St Louis real estate market and, admittedly, am a data nerd, however, considering that a home sale or purchase is generally one of, if not the, largest financial transactions a person makes, I think it’s worth the effort to get it right. 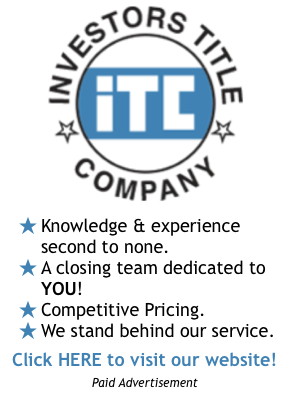 This is why at our company, MORE, REALTORS, we have spent thousands and dollars and thousands of hours of work over the course of several years to develop software for our agents, and clients, that provides what we feel is the most accurate and relevant information out there when it comes to St Louis home prices and sales information. Yesterday, after I arrived at my destination for a lunch meeting with my business partner, I pulled out my iPhone and opened the RPR® (REALTOR® Property Resource®) app (only available to REALTORS) to see what it would show me about the real estate market for the area I was in, which was Sunset Hills (63127). The app correctly identified my location and then showed the information on my screen that I show below. While I liked the look of the screen, it was definitely ascetically pleasing, I immediately noticed the rather large “-19.2%” on the screen next to “Median Sales Price – 12 Month Change”. What??? Was I that out of touch I thought, could home prices in the Sunset Hills area really have fallen over 19% without me, the data nerd and, in some peoples opinions, “market guru”, even noticing? While I don’t know exactly what is meant by the label on the app, whether it is for the most recent month compared with the same month a year ago, what I do know is one way or the other they are indicating a big drop on home prices which would be very scary to me if I were a homeowner in that area, and very concerning to me if I were considering buying. Before getting too distraught over what I was seeing, I then decided to open, what I believe to be the BEST and most ACCURATE, app in St Louis for home price information, the STL Market Data App (click here to download for FREE from the iTunes store – this is one of the products we have created at MORE) to see what it had to say. Like the RPR® app, our app opened and correctly identified my location and then gave me complete market information (based upon data we obtain directly from the REALTOR® MLS). 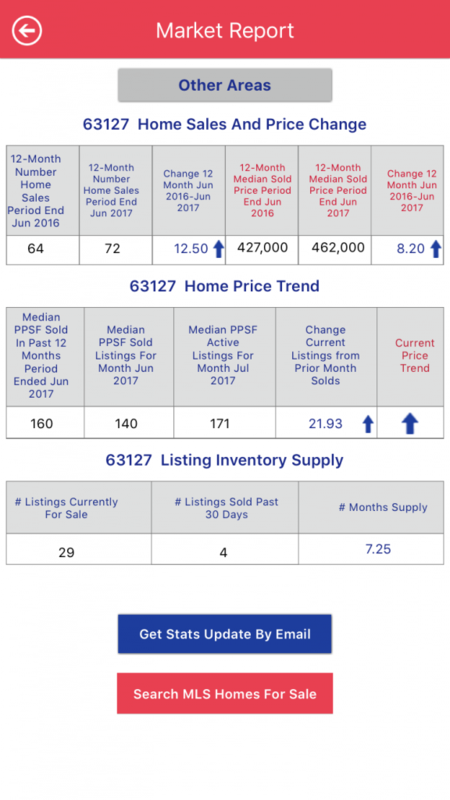 As you can see, our app painted a much different (and more accurate) picture of the market showing that the median price of homes sold in 63127 during the most recent 12-month period was $462,000 which was an 8.2% increase from the median price for the price 12-month period of $427,000. 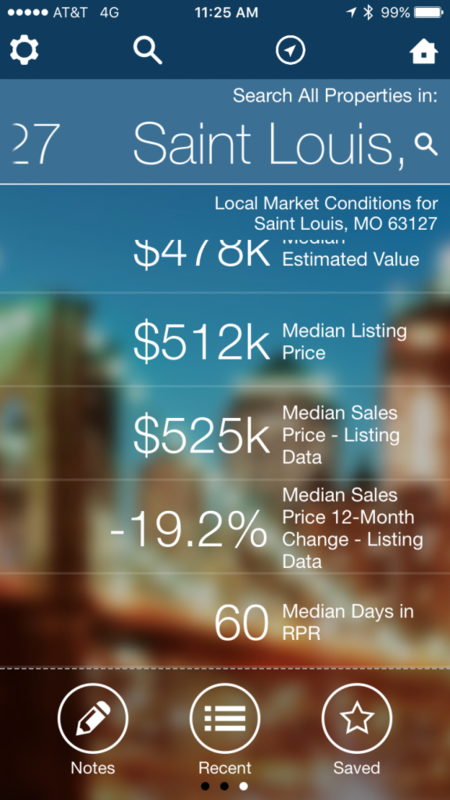 Wow, what a difference between the RPR® app and our STL Market Data app! Theirs show a decline in home prices of 19.2% and ours an increase of 8.2% for the same area. 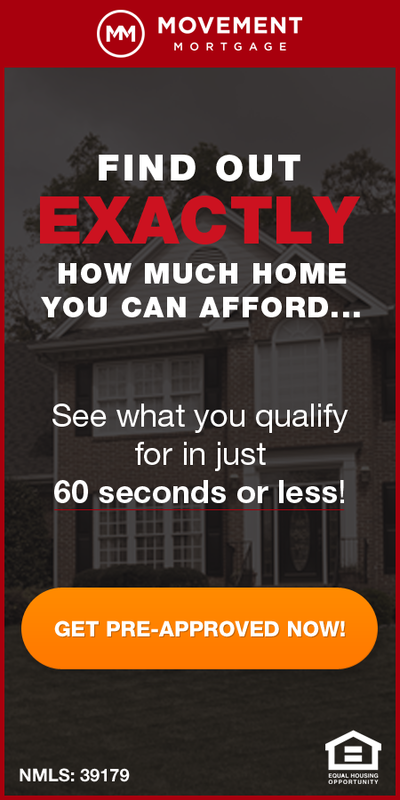 How much of an impact would this have on you as a home buyer or seller? Now you may see why I am so passionate about this topic, it is critical for home buyers and sellers to have good, accurate and relevant data in order to help them make smart decisions! It is even more important that they have a professional agent representing them that has access to resources that provide this type of data, and that know and understand it thoroughly so that they can properly represent their clients (uh, like the ones we have at MORE, REALTORS). Realtors Property Resource® and RPR are trademarks of Realtors Property Resource®.